Fidel Castro denounced President Obama’s attempt to restore relations with Cuba in a 1,500-word letter Sunday, a week after the president’s historic visit to the country. "We don’t need the empire to give us any presents," Castro said in the piece, which was published in the Cuban Communist Party’s official newspaper and titled "El hermano Obama" or "Brother Obama." He wrote that Cubans are self-sufficient and "able to produce food and material wealth we need with the effort and intelligence of our people." The letter outlined Cuban history, including Spanish colonialism and Cuba’s role in defeating apartheid in South Africa, and emphasized America’s habitual aggression toward Cuba. Castro criticized Obama’s "saccharine" encouragement to "forget the past, leave the past, look to the future, look at it together, a future of hope." Considering the tense history of U.S.-Cuban relations, he wrote, Obama’s words "risked a heart attack." "After a merciless blockade that has lasted almost 60 years, those who have died in mercenary attacks on ships and Cuban ports, an airliner full of passengers that detonated in midair, mercenary invasions, multiple acts of violence?" he wrote. Castro also recounted America’s role in the failed 1961 Bay of Pigs invasion, writing that, "nothing can justify this premeditated attack that cost our country hundreds of killed and wounded." He rejected Obama’s claims that America and Cuba were "built in part by slaves…from America" and that Americans and Cubans "can trace their heritage to both slaves and slave-owners." "Native populations do not exist at all in Obama’s mind," Castro wrote and poked at Obama's youth. "Nor does he say that racial discrimination was swept away by the Revolution; that retirement and salary of all Cubans were declared by this before Mr. Barack Obama turned ten years old." Castro then advised Obama to stay out of Cuban politics. "My modest suggestion is that he reflects and doesn’t try to develop theories about Cuban politics," Castro wrote. Obama did not meet with Fidel Castro during his visit to Cuba though he said he would have met with him "if his health was good enough." The president said that such a meeting would be a "symbol of the… closing of this Cold War chapter in our mutual histories." Critics of the Cuba trip have slammed Obama for bowing to President Raul Castro and brushing off Cuban human rights abuses. At a joint press conference with President Raul Castro on Monday, Obama asked Castro to comment "on some of the areas where he feels that we’re falling short." In the same conference, Castro was asked about political prisoners being held in Cuba, to which he demanded "a list" of the prisoners. 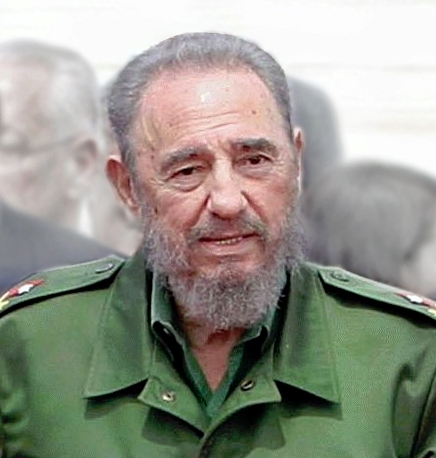 "Give me a list of the political prisoners, and I will release them immediately," Castro said. Others have called Obama blasé concerning the Brussels terror attacks, which occurred while he was in Cuba, and have accused him of going on an "ideological holiday trip in Cuba while the world burns." On Tuesday, the day of the terror attack in Brussels, Obama commemorated the victims of the attacks for 51 seconds before continuing with his speech about restoring relations and moving past the cold war. He later attended a baseball game between the Cuban national team and the Tampa Bay Rays. This entry was posted in Politics and tagged Barack Obama, Cuba, Raul Castro. Bookmark the permalink. Jenna is a reporter at the Weekly Standard.